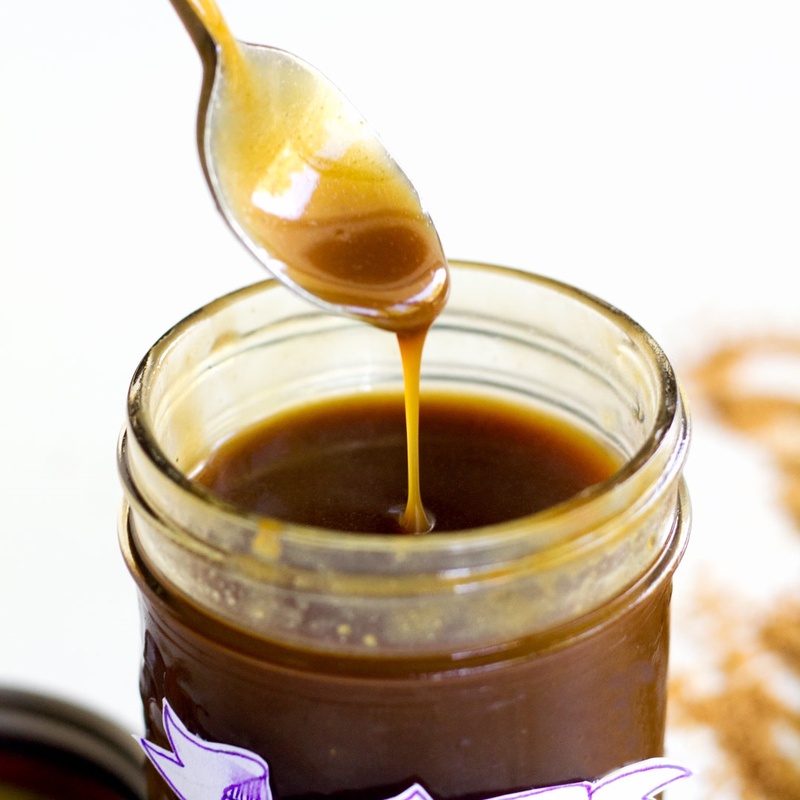 This wonderful recipe for vegan caramel sauce was shared with us many years ago by the Vegan Chef, Beverly Lynn Bennett. Beverly has authored numerous vegan cookbooks, including her more recent titles: Almond Flour, Spiralize!, The Pure Power of Maca, and Chia. 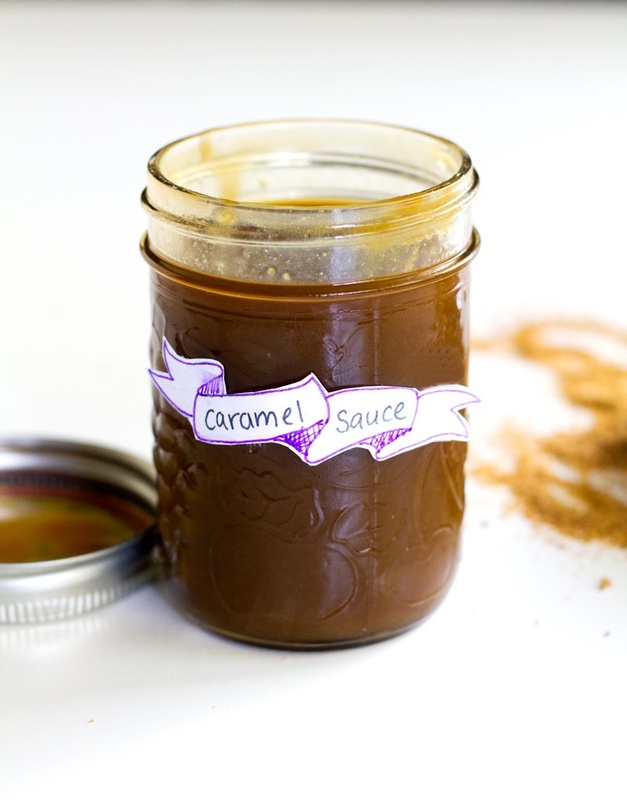 To celebrate Beverly’s cookbook success, Leah made and photographed Beverly’s vegan caramel sauce recipe. Leah tested it with coconut sugar and it was a delicious success, so we’ve added that sweetener option to the recipe. For the most part, this recipe uses easy-to-find ingredients. But if you have trouble locating arrowroot starch, non-GMO cornstarch can be substituted. 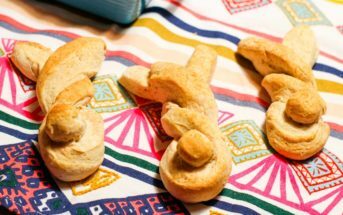 By ingredients, this recipe is dairy-free / non-dairy, egg-free, gluten-free, nut-free, peanut-free, optionally soy-free, vegan, plant-based, and vegetarian. Place the milk beverage and sweeteners in a small saucepan, and whisk well to combine. Cook over medium heat, while whisking occasionally, for 3 minutes. In a small bowl, whisk together the water and arrowroot, and then whisk the mixture into the saucepan. Cook the mixture, while whisking constantly, an additional 2 to 3 minutes or until it thickens. Remove the saucepan from the heat and whisk in the remaining ingredients. 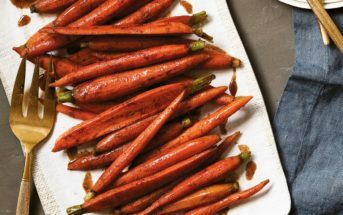 Serve warm as a topping for cakes, desserts, non-dairy ice cream or sorbet, or as a dipping sauce for fruit. Store in an airtight container, in the refrigerator, and reheat as needed. Hi….. I have a problem with dairy and was looking for recipes to try…..I came across a few of yours. 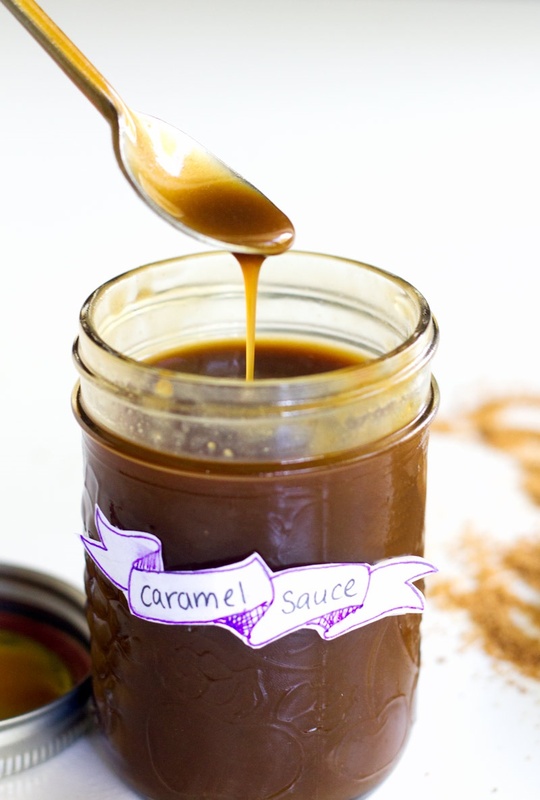 Some I have yet to try but I have tried the caramel sauce and wanted to send you a big thank you, it’s so lovely to have caramel back in my diet and useful to have in my fridge. This looks awesome, and I love the pretty little jar label! Isn’t it cute?! That’s all Leah. Thank You, Thank You for the dairy and soy free recipes for pumpkin pie and for caramel sauce (Caramel Apples for Halloween). You have helped me so much!! Can’t wait to try them.